Weinheim (Germany), October 17, 2018. Freudenberg Sealing Technologies, one of the world’s leading seal manufacturers, was awarded the MATERIALICA Design + Technology Award 2018. 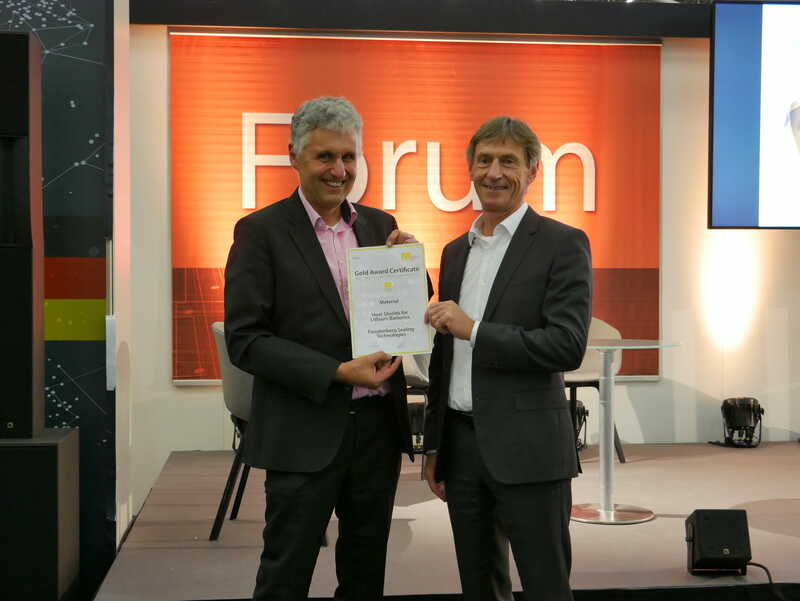 The award ceremony took place yesterday during a festive gala event at the eMove360° Europe 2018 trade fair in Munich (Germany). Since its premiere in 2003, the MATERIALICA Design + Technology Award has been recognized as a trend-setting award for innovative products in terms of material development and application as well as aesthetic and functional design. In order to produce high quality products, companies must always focus on two key features: outstanding design and high technology competence. The perfect combination of intelligent material selection, competent engineering, a high level of innovation and convincing design is a success factor to can gain a competitive advantage. That is why the MATERIALICA Design + Technology Award aims to set trend-setting accents. In the final round of the “Material” category, the company and its newly developed heat shields have prevailed and honored with the gold award. 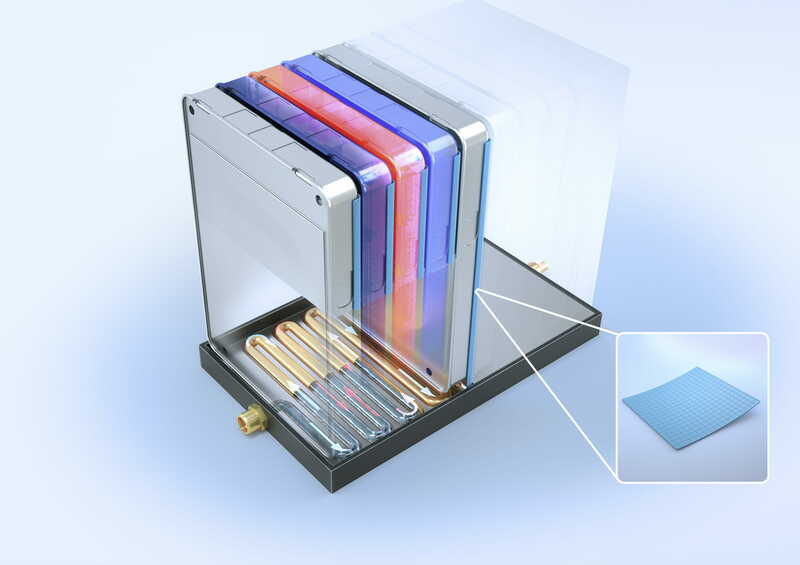 Freudenberg Sealing Technologies’ innovative heat shield keep a single damaged cell from overheating the entire battery module. for use in prismatic and pouch cells with almost no impact on the required installation space. This phenomenon is called “thermal runaway,” and it can cause the temperatures in a cell to rise as high as 600°C. The risk is that the battery’s cooling system would not be able to drain the heat away quickly enough under these conditions. In the worst case, this could lead the entire battery system to explode. Freudenberg Sealing Technologies is counteracting the risk with a new development. Heat shields between individual cells are designed so that the heat from a damaged cell remains insulated until it can be drained away. The heat shield has three key characteristics: First, the shield itself consists of a heat resistant material, a silicone-based elastomer; second, it slows the heat transfer between the cells with a waffle-like structure – tiny pockets of air provide outstanding heat insulation. Third, the shield is very thin, with a maximum thickness of just 1 mm. The loss of the existing energy density due to the shield’s use is hardly noticeable. Consideration has also been given to the heat shield’s mounting. Since the air pockets adhere well to the smooth metallic surface of a prismatic cell – thanks to a suction effect – an individual shield can be precisely position. The heat shields are part of a whole series of novel products from Freudenberg Sealing Technologies, which were developed especially for applications in electric mobility. Further information is available at here.